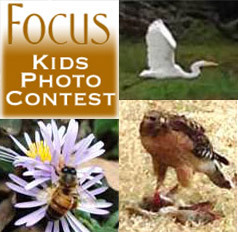 Tell your Arlington area friends in grades 3-6 to get out into nature, take photos, and submit them before Nov 1, 2016 to compete for $500+ in prizes. Must live in or attend public, private or home school in Arlington/Pantego/Dalworthington Gardens. Getting students outdoors and involved in nature. Visit us at EcoFest September 19th in downtown Arlington. Save money and help the Environment. Receive free advice on lawns, native plants, weatherizing, low energy lighting, leaky faucets and toilets, and much more. Win prizes for your learning. 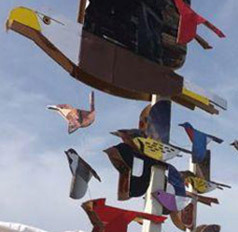 ACC’s 4th of July Parade entry depicted 50 state birds to remind viewers of the decline of backyard birds. ACC didn’t buy new materials but borrowed and scavenged items that were recycled when the parade ended. Read more at Green Source DFW. Our meetings center around many conservation and preservation themes. We meet at the Fielder House. 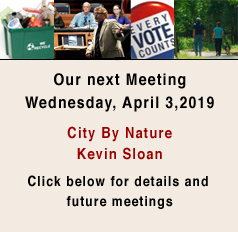 Topics are far ranging, from: Natural Areas, Fracking Concerns, Solar Power, Dark Skies, Native Plants, Water Conservation, Political Advocacy, Composting, Creek Clean-ups, Privet Removal, Recycling and Pollution Control.